Crossways Barn01263 715779work01603 870304fax Self-cateringCrossways Barn is an attractive, traditional, brick and flint building that has been updated in a contemporary style to provide comfortable and spacious accommodation for a relaxed break with family or friends. The open plan kitchen, dining and sitting area is set underneath an impressive timbered and vaulted ceiling and from this room a spiral staircase rises to the twin bed accommodation on the mezzanine floor. The remainder of the ground floor hosts a good sized conservatory with French doors to the garden and a double bedroom and bathroom. Briston is a flourishing village and an excellent gateway to the delights of North Norfolk including Holt, Cromer, the Poppy Line railway at Sheringham, the salt marshes of Blakeney, which form part of the North Norfolk Heritage coast and the wide, sandy beaches of Wells-next-the-Sea and Holkham. With farm shops, great cafes, good pubs and award winning restaurants easily found, Crossways Barn makes an ideal base for a memorable holiday. 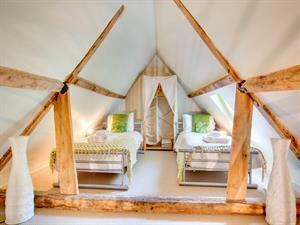 Crossways Barn offers weekly bookings starting on Friday. Crossways Barn is an attractive, traditional, brick and flint building that has been updated in a contemporary style to provide comfortable and spacious accommodation for a relaxed break with family or friends. The open plan kitchen, dining and sitting area is set underneath an impressive timbered and vaulted ceiling and from this room a spiral staircase rises to the twin bed accommodation on the mezzanine floor. The remainder of the ground floor hosts a good sized conservatory with French doors to the garden and a double bedroom and bathroom. Briston is a flourishing village and an excellent gateway to the delights of North Norfolk including Holt, Cromer, the Poppy Line railway at Sheringham, the salt marshes of Blakeney, which form part of the North Norfolk Heritage coast and the wide, sandy beaches of Wells-next-the-Sea and Holkham. With farm shops, great cafes, good pubs and award winning restaurants easily found, Crossways Barn makes an ideal base for a memorable holiday.